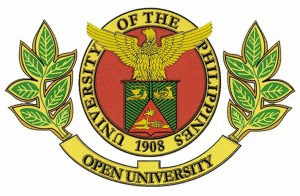 MANILA (Mindanao Examiner / Oct. 16, 2011) - The University of the Philippines Open University said it would offer Diploma and Master of International Health (D/MIH) starting on June 2012. It said the D/MIH is intended for entering and mid-career health professionals who are looking for graduate-level education and training that will prepare them for supervisory work in government health departments, local and international non-government organizations engaged in health and development work. UPOU’s courses in international health shall give equal emphasis to health promotion and health systems development. Both graduate programs are designed for medical and other professionals working in the field of health and development like nursing, dentistry, veterinary medicine, allied medical professions, social work and related fields, with at least a baccalaureate degree in science. The new courses will be delivered online and can be taken by the students regardless of their location, according to UPOU. It said application to the programs will start on December 1 until the end of February 2012. Information are available on this URL www.upou.edu.ph or those interested can send an e-mail to info@upou.edu.ph.